HALIFAX, Aug. 9, 2018 /CNW/ – Holloway Lodging Corporation (TSX: HLC) (TSX: HLC.DB) (TSX: HLC.DB.A) (“Holloway”) today announced financial results for the three and six months ended June 30, 2018. All amounts are presented in thousands of Canadian dollars, except earnings per share amounts, unless otherwise indicated. Readers should refer to Holloway’s unaudited condensed consolidated financial statements as at June 30, 2018 and its management discussion and analysis which are available on Holloway’s website at www.hlcorp.ca and on SEDAR at www.sedar.com. In the second quarter of 2018, hotel revenue and operating income increased 5.0% and 9.2%, respectively compared to the second quarter of 2017. The changes in hotel revenue, operating income and certain other financial metrics are shown in the tables below for the three and six months ended June 30, 2018. The results of our hotels were positive for the second quarter as revenue and operating income increased and our operating income margin increased 1.2 percentage points to 31.1%. Funds from operations and adjusted funds from operations increased by 59.6% and 51.3%, respectively. Our results improved due to the reopening of the Super 8® in Grande Prairie, AB following its post-flood renovations, the leasing of the former Travelodge® in Slave Lake, AB which previously generated negative cash flow, better results at our Grande Prairie, AB hotels generally as well as our Atlantic Canada hotels. These positives were partially offset by the partial closure of the Travelodge in New Glasgow, NS for a renovation and lower operating income at our Ontario hotels, which continue to be impacted by higher utility expenses and minimum wages. Our Atlantic hotels’ positive performance was broad-based. The improvement at our Western hotels continues to be mixed with the Grande Prairie market being the strongest. Our hotels in B.C. have not experienced positive results this year. The lower quarterly revenue at our Northern hotels was due to the closure of the restaurant at the Quality Inn® in Yellowknife, NWT and the partial closure of the restaurant at the Westmark® Hotel and Conference Center in Whitehorse, YT for renovations. Despite the revenue decline, operating income increased because the Yellowknife restaurant was not profitable. We continue to work on expanding our hotel management business. At the date of this MD&A, we are party to four management agreements and one letter of intent. We are currently earning fees under three of these agreements or letters of intent. One of our new agreements is for a hotel in receivership and, therefore, is likely to be of limited duration. At June 30, 2018, the Company had $206,952 of debt compared to $210,451 at June 30, 2017, representing a decrease of $3,499 or 1.7%. Our convertible debentures comprise 43.4% of the debt and have no financial covenants. Our weighted average cost of debt at the end of the second quarter was 5.62%. In June 2018, the Company drew the remaining $5,000 available on an existing mortgage secured by two hotels. The mortgage bears interest at 4.55%, has an amortization period of fifteen years and matures in July 2022. During the second quarter, Holloway repurchased 105,900 common shares at an average price of $6.02 per share for a total cost of $637. Subsequent to June 30, 2018, Holloway repurchased and cancelled an additional 300,900 common shares at an average price $6.05 per share for a total cost of $1,819. As a result of these repurchases, Holloway completed its normal course issuer bid commenced in August 2017. During the second quarter, we completed the renovation of our Travelodge in New Glasgow, NS, and the customer feedback is very positive. We also completed the demolition of all the non-operated structures at our Travelodge site in Ottawa, ON. For the remainder of 2018, we expect the performance of our hotels in the Atlantic and Northern regions to remain steady. In Ontario and Alberta, we are continuing with initiatives to mitigate the impact of higher than usual minimum wage increases, including cost reduction, productivity and revenue management strategies. We expect our hotels in Grande Prairie to continue to achieve improved results. We expect our smaller Alberta and our B.C. hotels to continue to experience more volatile recoveries. On August 9, 2018, the Board of Directors declared a quarterly dividend of $0.035 per share, representing an annual dividend of $0.14 per share. The dividend is payable on September 14, 2018 to shareholders of record on August 31, 2018. The Toronto Stock Exchange (“TSX”) has approved the Company’s notice of intention to make a normal course issuer bid (“NCIB”) for up to 893,682 of its common shares, representing 5% of the issued and outstanding shares as of August 9, 2018. Pursuant to a previous notice of intention to conduct an NCIB, under which the Company sought and received approval from the TSX to purchase up to 943,713 shares for the period of August 17, 2017 to August 16, 2018, the Company has purchased, as of August 9, 2018, 943,713 shares at a weighted average price of $5.79 per share. Pursuant to the notice, the Company may, over the 12 month period commencing on August 17, 2018 and ending on August 16, 2019 (or on such earlier date as the Company completes its purchases pursuant to the bid or provides notice of cancellation), purchase shares through the facilities of the TSX or certain alternative trading systems at prevailing market prices in accordance with the rules and policies of the TSX or certain alternative trading systems. All shares purchased by the Company under the NCIB will be cancelled. As of August 9, 2018, the Company had a total of 17,873,653 shares issued and outstanding. The average daily trading volume of the shares during the six months ended July 31, 2018 was 7,648 shares and the daily repurchase limit for the shares is 1,912 shares other than block purchase exceptions. Holloway has entered into an automatic securities purchase plan (“ASPP”) with a broker in order to facilitate repurchases of its common shares under the NCIB. Purchases under the ASPP will be made by Holloway’s broker based on the parameters prescribed by the TSX, applicable Canadian securities laws and the terms of the parties’ written agreement. Under the Plan, the Company’s broker may purchase common shares under the NCIB at times when the Company would ordinarily not be permitted to, due to its self-imposed regular quarterly blackout periods. The Company believes that, on occasion, the shares become available at prices that do not give full effect to their underlying value. Accordingly, management believes that the purchase of shares pursuant to the NCIB represents an investment opportunity for Holloway and an appropriate use of its funds. Holloway is a real estate corporation focused on acquiring, owning and operating select and limited service lodging properties and a small complement of full service hotels primarily in secondary, tertiary and suburban markets. 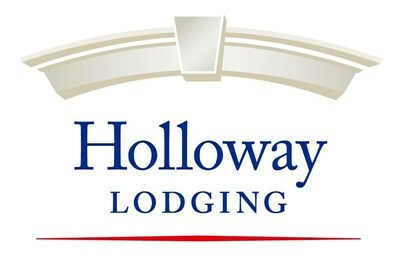 Holloway owns 33 hotels with 3,764 rooms. Holloway’s shares and debentures trade on the TSX under the symbols HLC, HLC.DB and HLC.DB.A. This press release contains forward-looking information within the meaning of applicable securities laws. Forward-looking information may relate to Holloway’s future outlook and anticipated events or results and may include statements regarding Holloway’s future financial position, business strategy, financial results, plans and objectives. In some cases, forward-looking information can be identified by terms such as “may”, “will”, “should”, “expect”, “plan”, “anticipate”, “believe”, “intend”, “estimate”, “predict”, “potential”, “continue” or other similar expressions concerning matters that are not historical facts. Forward-looking information is subject to certain factors, including risks and uncertainties, that could cause actual results to differ materially from what Holloway currently expects and there can be no assurance that such statements will prove to be accurate. Some of these risks and uncertainties are described under “Risk Factors” in Holloway’s annual information form for the year ended December 31, 2017 which is available on Holloway’s profile on the SEDAR website at www.sedar.com. Holloway does not intend to update or revise any such forward-looking information should its assumptions and estimates change.